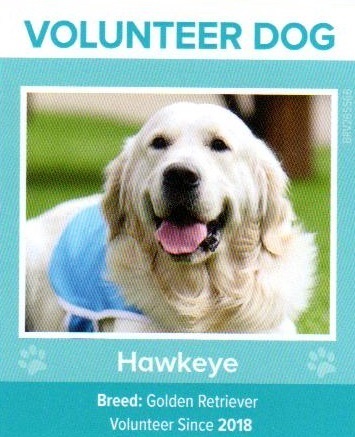 Hawkeye is one of our own Spirit Golden bred. He is the son of Spirit's Irish Cheer of Woodmore and Have Sparkl Brdske Zlato. He is muscular, large boned and weighs in at about 90 pounds. 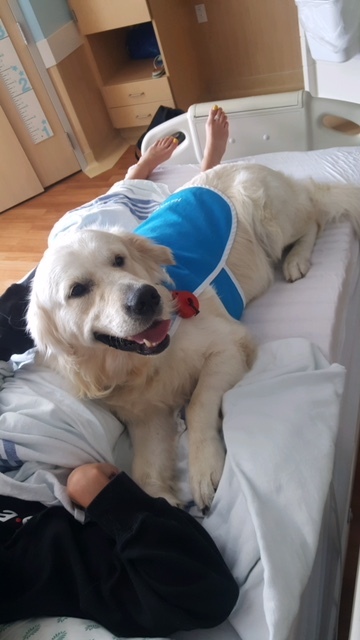 Hawkeye's gentle and sweet temperament has earned him a place as a Therapy dog for Children's Hospital, the Liberty Branch, where he brings joy to many. He resides and is co-owned with John here in the Dayton area.